After the Idaho Vandals took a field trip to old-school football Friday in their first scrimmage this spring, coach Paul Petrino aptly summed up the journey. 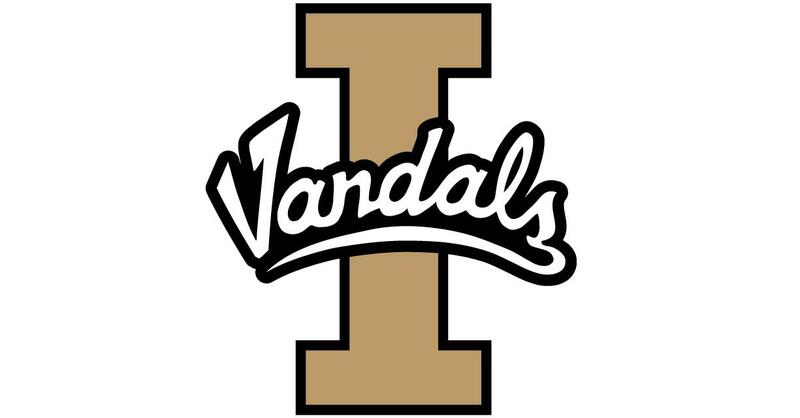 Petrino said the Vandals might have delivered the most physical scrimmage in his five-plus seasons at Idaho. The jarring contact satisfied coach and players alike. “The defense was hitting, the offense was blocking. The coaches were calling plays,” redshirt sophomore running back Dylan Thigpen said. Senior Kaden Elliss spent the day on offense, catching passes as a tight end, slot receiver and wideout. His role as a two-way player for the Vandals keeps expanding. Elliss said he enjoys it, but he’s looking forward to a return to his day job as a standout linebacker in the spring game that concludes spring practice. “Hopefully, I’ll get a little dark side next time to mix it up.” Elliss said. Having an opportunity to view the Vandals’ defense from the other side of the ball made him envious. “Those are some fun boys to watch,” he said of the linebacking crew. The big hitting came at a cost, though. Thigpen, who torched the defense with a burst through the middle and 67-yard sprint to the end zone, and Roshaun Johnson, who enlivened the latter stages of the scrimmage by launching his 240 pounds over an onrushing cornerback, got most of the day’s carries because senior Isaiah Saunders rolled an ankle. Redshirt sophomore offensive lineman Conner Vrba left the field on a cart with what Petrino said appears to be a high-ankle sprain. Redshirt junior safety Denzal Brantley spent several scary minutes motionless on the Kibbie Dome turf with three trainers and Petrino hovering over him after he went low into a pile to help on a tackle. Petrino was relieved to see Brantley get up and watch the remainder of practice. Sophomore quarterback Colton Richardson was also hobbling on a sore ankle. Petrino, though, said none of the injuries appears to be serious. Richardson’s arm was fine, and one of the few passes Elliss dropped all day was a bullet from Richardson that got to him in a hurry in the end zone. Mason Petrino doesn’t have Richardson’s cannon, but he was adept at faking a run, drawing in a defensive back and flipping a short pass over him to an uncovered receiver. Often that was senior David Ungerer. “That’s the Mason Petrino I know. I’ve seen that since high school,” said Ungerer, who teamed with Petrino at Pullman High. But the coach fretted over a problem he’s delighted to have. “I can’t take him away from the defense,” he said. Published: April 13, 2018, 8:41 p.m.